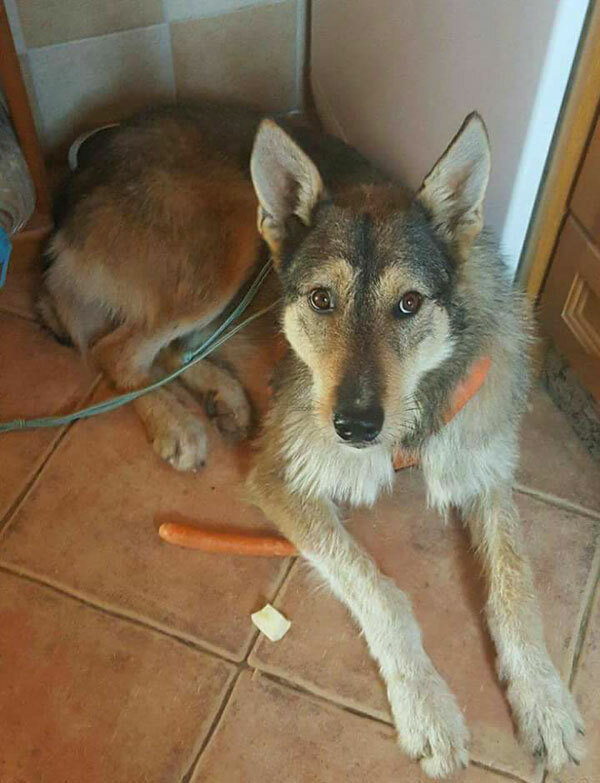 This lovely boy is Lobo who is 3 years old. He is 70 cm tall. 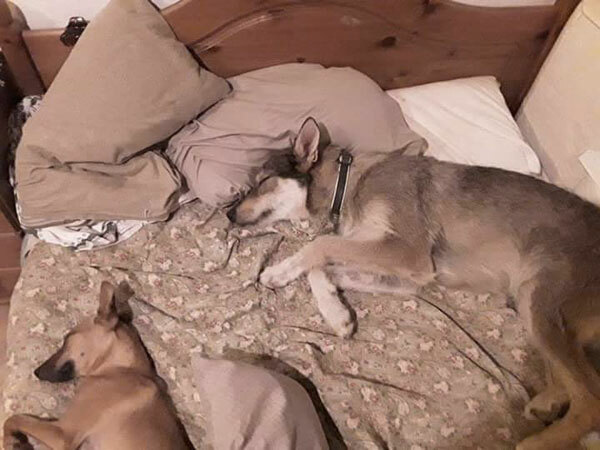 Lobo is shy with strangers but he has trust in his foster carer, but she lives way out in the sticks, so rarely has visitors so when she has had visitors, he hides. He is an Alpha, so would be better with female pack members, or with non dominant males. He is ok with cats if introduced properly, the fosterer got 2 kittens in order to introduce dogs to cats. He is a shy boy and needs his confidence building by his forever person/ family, he is a very spiritual dog, he will look into your soul, he is a once in a lifetime dog. Can you offer lovely Lobo the home he deserves? 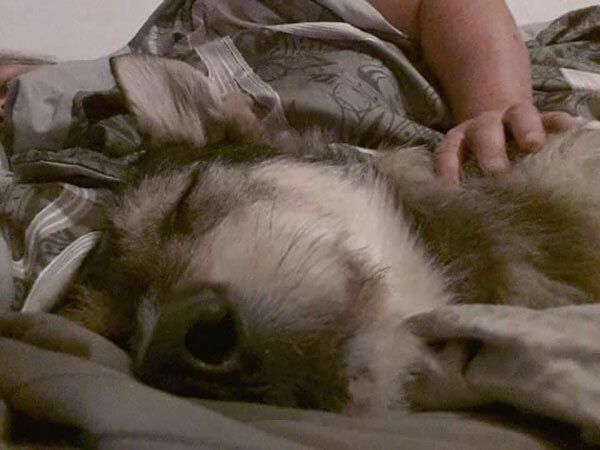 Lobo having his ears rubbed.